The use of Ayurvedic herbs and preparations dates back to one of the oldest healthcare systems in the world, the traditional Indian medicine of Ayurveda. Offering a preventative holistic, whole-body approach to attaining and sustaining long-term health and wellness, Ayurveda is a Sanskrit term that translates "the knowledge or science of life and longevity." It is still today the primary system of medical treatment used in modern day India and in the West is recognized as an alternative and/or complementary adjunct to mainstream allopathic methods. 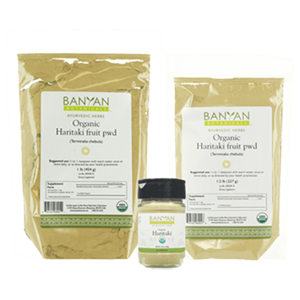 From an Ayurvedic perspective, health encompasses the physical as well as mental and spiritual states of awareness. Herbal substances and their use in alchemical formulations are therefore uniquely administered to help restore alignment to these equally important and fundamental aspects of life. This is achieved in accordance with one's individual needs which involves a thorough understanding of one's body constitution or "prakruti." While traditional Ayurvedic medicine presents a wide spectrum of treatment modalities to choose from, one of the main goals is to reestablish balance in what Ayurveda calls the three "doshas" or body types. Similar to Chinese philosophy, Ayurveda is based on the idea that the human body is composed of the five elements: earth, air, fire, water and ether. It is believed that each person is made up of a certain amount of all these elements in varying ratios. This is one's natural and distinct inherent physical constitution or "prakruti" given to us at the time of conception. Prakruti comprises our inborn tendencies or "nature", something that is present with us throughout the course of our lifetime and when in balance reflects our highest state of health. There are three different body type categories or doshas that people fall into. Generally, there is one predominant dosha and varying proportions of the other two. 1) Vata - Air and Ether; Vata type people are energetic, slim, have fast metabolisms and visible veins. 2) Pitta - Fire; Pitta types are passionate, tend to run hot and have good muscle development. 3) Kapha - Water and Earth; Kapha constitutions have thick smooth skin, are grounded and heavyset with slow metabolisms. Often times it is additionally helpful to seek the advice of a qualified Ayurvedic practitioner, who can further evaluate your individual constitution and advise herbal and/or therapeutic treatments according to your specific health issues. Each of these doshas have different needs as far as optimum diet, exercise and living environments to which they are best suited. There are also certain Ayurvedic herbs that can be more appropriate depending on one's principal body type and current health condition, commonly referred to as "vikruti." We recommended that when using some of the herbs provided in the list below you take into account these important factors. It is said that when vikruti and prakruti are in perfect alignment we can achieve highest states of health. 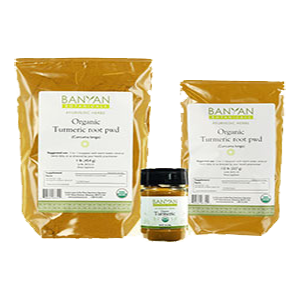 Rather than to simply suppress symptoms, this is the ultimate goal of any Ayurvedic remedy. In Ayurveda, most of the herbs on this list are typically referred to as "rasayanas" or rejuvenating tonics as they help to improve the quality of "rasa" or the bodily tissues. 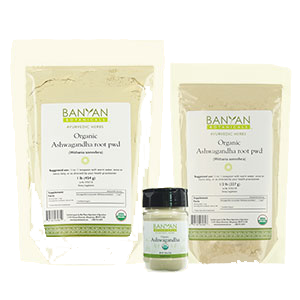 Rasayanas are believed to help promote physical strength, increase lifespan, boost cognitive function and prevent disease. Here, we present some of the common varieties most familiar in Western culture. These herbs can be used in conjunction with other Ayurvedic approaches which may also include modifying one's diet, lifestyle choices and activity levels. 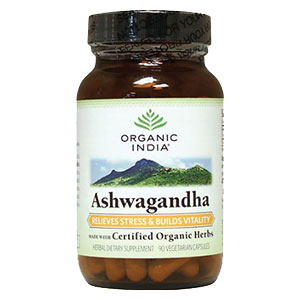 Ashwagandha (Withania somnifera), one of the top tonics in Ayurveda, is a rejuvenative yang tonic and "energizer" for the entire body with similar effects to that of ginseng. 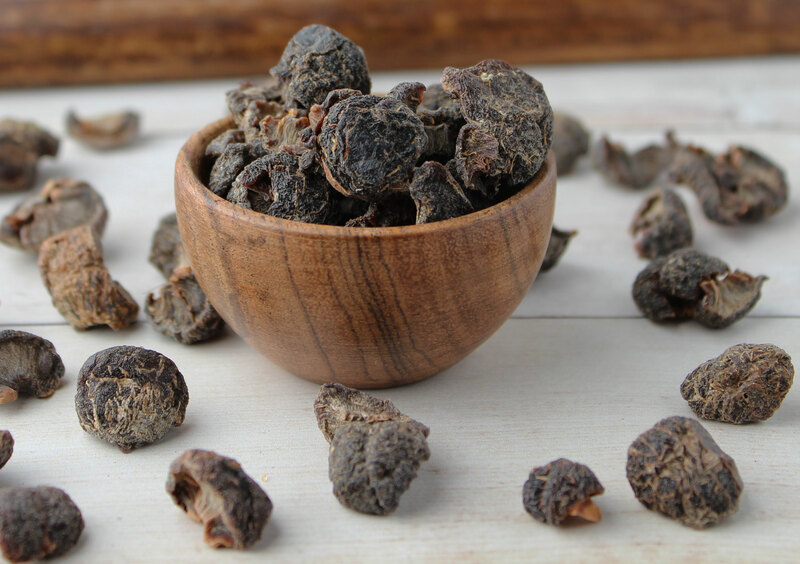 It is often viewed as a male reproductive aphrodisiac, but is generally revitalizing for both men and women alike. 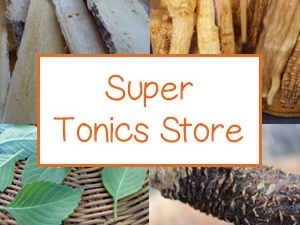 The root is highly prized for its nourishing effects on the nervous system and brain cell function, helping to relieve physical fatigue, nervous exhaustion, anxiety as well as depression. Ashwagandha is a powerful immune system restorative that exhibits anti-inflammatory actions specific for conditions like rheumatoid arthritis. It is consumed as tea, powder, tablet or tincture and is a common ingredient in many energizing Ayurvedic formulas. 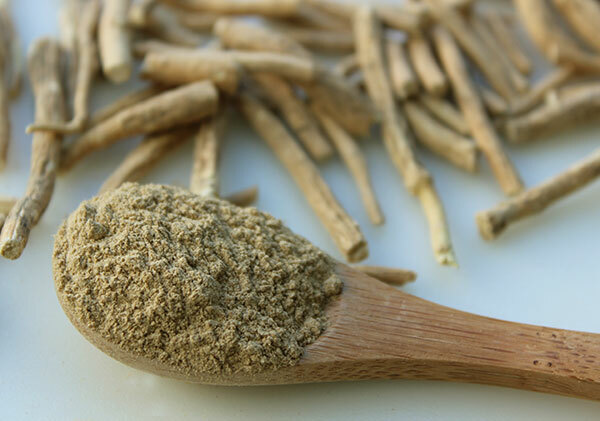 Dosha: Ashwagandha is good for Vata imbalance and sometimes Kapha as it is mildly warming to the body. Gotu kola (Centella asiatica) is also known as "brahmi" in Northern India and although it has similar properties to that of Bacopa monnieri (also called brahmi), it is not the same plant. Gotu kola leaves can be used fresh or are dried to make tea or powdered capsules. 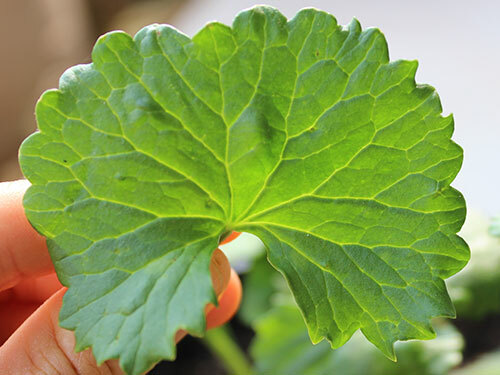 Gotu kola is commonly used with other herbs, like ginkgo, and is considered a "brain tonic" useful for improving memory, mental alertness and concentration skills. Gotu kola also works as a replenishing Ayurvedic herb for the central nervous system and can be a valuable herbal remedy for treating anxiety related stress and nervous disorders. Dosha: Gotu kola is a tridoshic herb, good for balancing Vata, Pitta and Kapha. 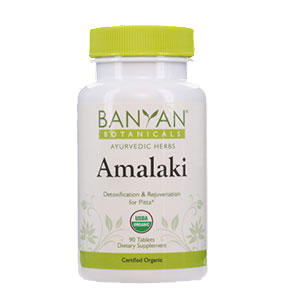 Although considered an "Ayurvedic herb", amla is actually an antioxidant-rich tree fruit, containing one of the highest sources of natural plant-based vitamin C available. It is cleansing to the body and helps improve liver function and immune response. Also called Indian gooseberry or amalaki (Emblica officinalis), it is particularly useful as a digestive and bowel tonic, improving gastrointestinal functions without aggravating Pitta body types. Its cooling nature is, in fact, specifically recommended for Pitta as it helps to remove excess heat. 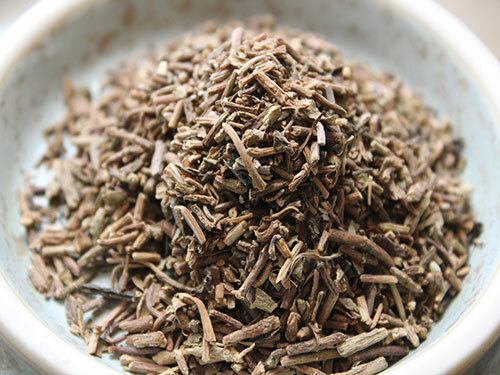 It is also helpful for Kapha and Vata doshas, acting as a rejuvenative for the entire GI tract and is additionally known to be specific for soothing pain caused from inflammation in the joints. 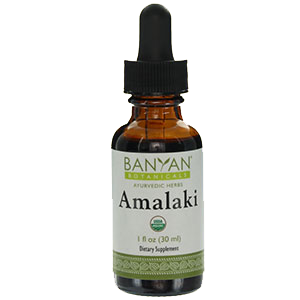 Amla is often used in powder form but is also available as tablets or as a liquid extract. 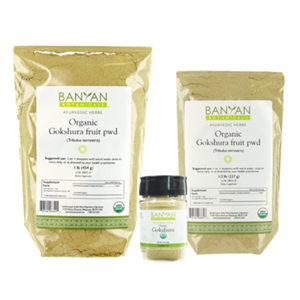 It is one of the three dried fruits used in triphala formulations. Dosha: Amalaki or amla is balancing to all doshas, but especially Pitta. 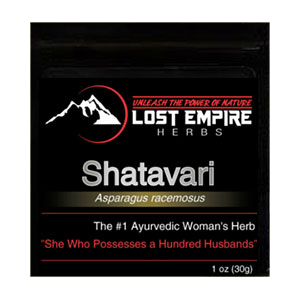 Shatavari (Asparagus racemosus) is a valued Ayurvedic herb for women of all ages. It is often recommended for female menstruation and general reproductive health and is likewise a nourishing tonic for women experiencing menopause as it is known to relieve hot flashes. 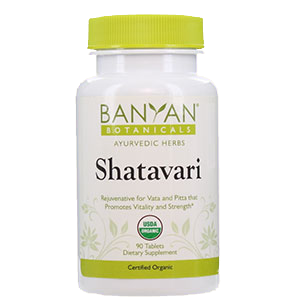 Shatavari helps to regulate the hormones, nourish the blood and enhance fertility. Although it is often considered a women's herb, it can also be used by men as a sexual tonic and as an anti-inflammatory for the reproductive glands, like the prostate. (Source) It is consumed as either a tea, powder or extract and is found in many herbal formulations specific to women's health issues. 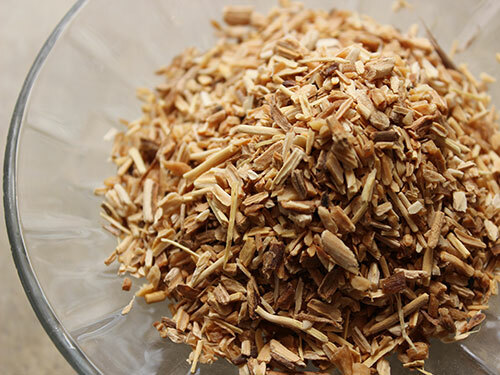 Dosha: Shatavari root is primarily used to balance Vata and Pitta, with its grounding yet cooling qualities, but may aggravate Kapha when used in excess. 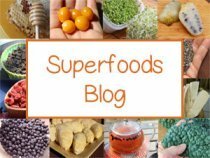 Mucuna (Mucuna pruriens) or kapikacchu is a velvety bean that is one of the highest natural sources of a unique amino acid called L-dopa (levodopa), an essential precursor to the mood-elevating neurotransmitter dopamine. L-dopa is known to increase dopamine concentrations which can be subsequently helpful for various disorders of the nervous system. Mucuna is therefore useful for balancing Vata-type conditions, commonly associated with lower levels of dopamine. It is claimed to be especially beneficial for those recovering from addictive drugs, stimulants and/or tobacco use. 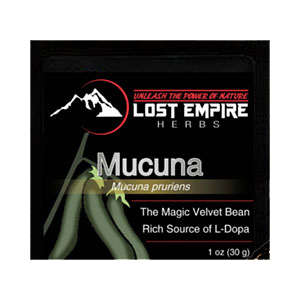 Mucuna is an aphrodisiac and nutritive tonic for the reproductive system. It helps to encourage healthy libido and promotes fertility in both men and women as it is deeply nourishing to all tissues and bodily fluids. 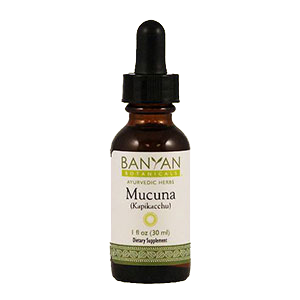 Mucuna is often used as a straight powder or powdered extract, but is also available as a tablet, capsule or liquid solution. 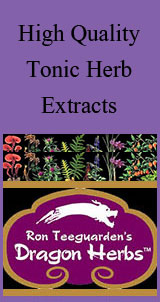 Powders and liquids can be mixed with water, elixirs, teas or blended with other herbs in herbal preparations. Dosha: Mucuna is particularly beneficial to Vata body types, but is also balancing for Pitta, but may increase Kapha. 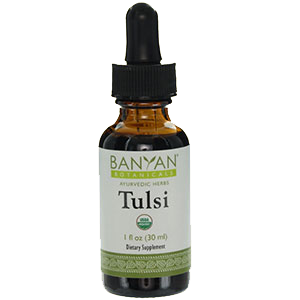 Tulsi, also known as holy basil, is a sacred rasayana that has been used in Ayurvedic medicine for thousands of years. Holy basil is a leafy plant, similar to that of culinary basil, and often symbolically grown outside of Hindu households to honor the god Vishnu. There are three different types of tulsi that have varying properties and tastes. 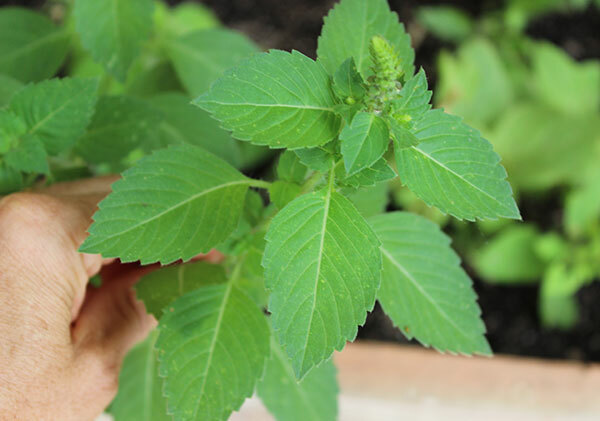 Ocimum sanctum (Rama) is the primary form of tulsi used for medicinal purposes. It is valued for its health enhancing properties specific for the respiratory tract as it helps to remove excess Kapha (or phlegm) from the lungs. 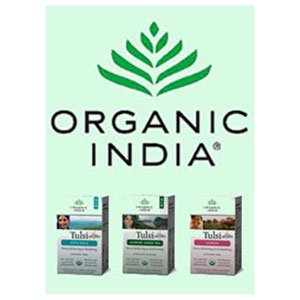 Tulsi is considered an herbal stimulant because of its energizing effect on the body, although it contains no caffeine. It is additionally supportive to healthy circulation and cardiovascular functions. The fresh or dried leaves are traditionally infused into hot water and served as a hot or iced tea. 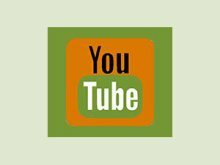 Dosha: Tulsi is balancing for Vata and Kapha, but may increase Pitta. Bacopa (Bacopa monnieri) is also commonly called "brahmi", especially in Southern India. In Vedic tradition, "brahmi" is derived from the term "brahman" which means "universal consciousness." It has been used for centuries in Ayurvedic medicine to support brain and nervous system functions. 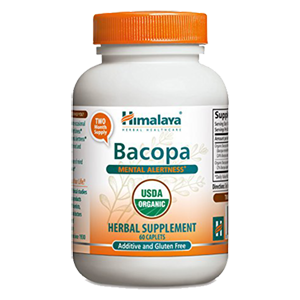 Bacopa or brahmi notably works to improve mental tranquility and is used to enhance one's memory and concentration skills. 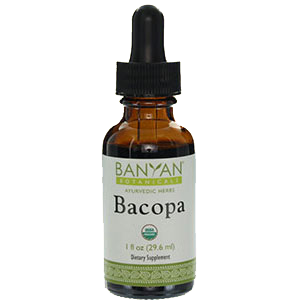 Bacopa is also traditionally infused into a base of sesame oil and used in massage therapy to calm and soothe the nerves. It is beneficial for increasing natural energy and is known for its ability to reduce stress related constipation. It is also particularly effective at improving cardiovascular health, is purifying to the blood and supports liver vitality. Dosha: Bacopa is balancing to all three body types: Vata, Pitta and Kapha, but may aggravate Vata in excess. 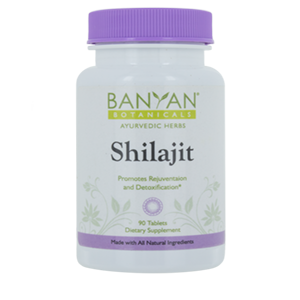 While shilajit is a mineral substance rather than a plant-based one, it is classified as one of the top Ayurvedic herbs utilized extensively in many herbal preparations. It is often referred to as "yoga vahi", which defines its ability to enhance the effects of other herbs used in therapeutic treatments. Shilajit is basically a resin-like material that is created from ancient compressed rock and is extremely rich in antioxidants and mineral content. Known to contain close to 85 minerals in ionic form, it is a particularly concentrated source of humic and fulvic acids. 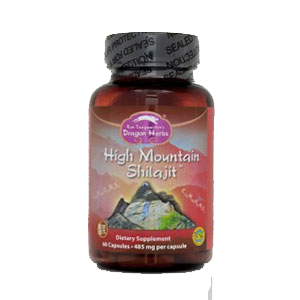 Shilajit supports healthy immune response, purifies the blood and is helpful for removing excess Kapha (phlegm) from the body. It is beneficial as a kidney tonic and supports respiratory and urinary tract functions. Dosha: Shilajit is balancing for kapha, but may aggravate pitta in excess. Tribulus (Tribulus terrestris), also called gokshura, is used as a powder that is created from the fruits and seeds of the plant species. 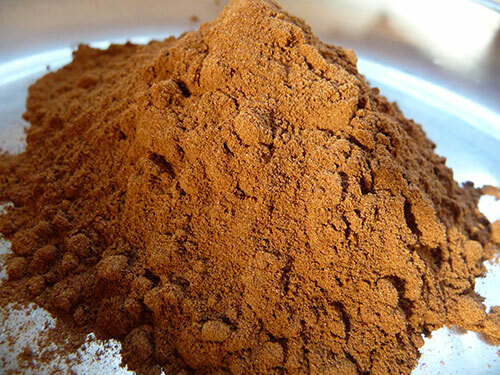 It is utilized as an ingredient in one of the premier rasayana preparations called chyawanprash. In Ayurveda, it is identified for its health enhancing effects on genitourinary system, which includes the urinary tract as well as the reproductive organs. 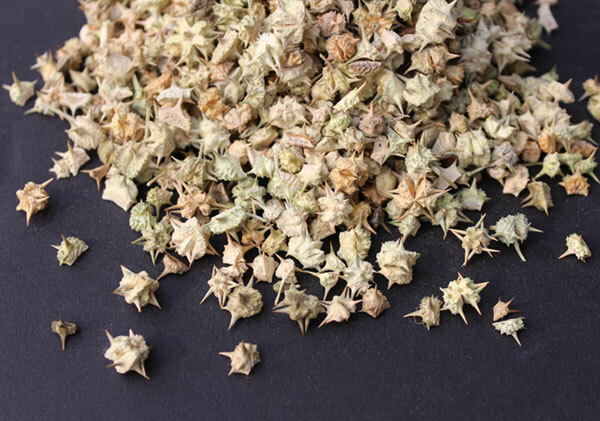 Helpful for building reproductive tissues (shukra dhatu), tribulus is likewise a tonic for the kidneys, supports healthy prostate function and promotes physical strength and fertility. Acting as a diuretic, it encourages the healthy flow of urine and is soothing to urinary disorders. Dosha: Tribulus is balancing for all three doshas, especially Vata. 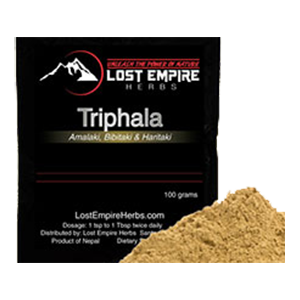 Triphala powder is a specific Ayurvedic formulation composed of three dried fruits: amalaki, haritaki and bibhitaki. 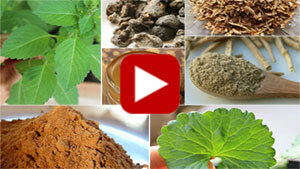 It is one of India's most valued and commonly utilized household herbs and supplements. 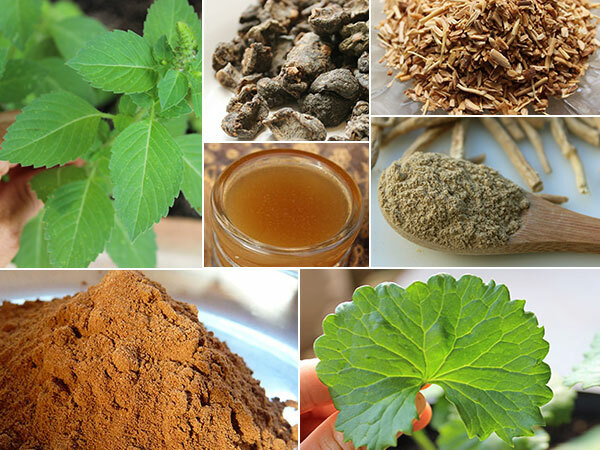 Used on a daily basis as a digestive tonic and for improved bowel regularity, it is believed to eliminate the root cause of many diseases that often begin from stagnant conditions and gastrointestinal imbalance. 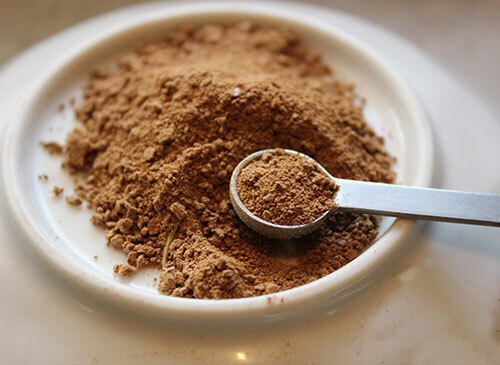 The powder, or "triphala churna", is traditionally stirred into hot water and consumed as a steeped lukewarm tea-like liquid. 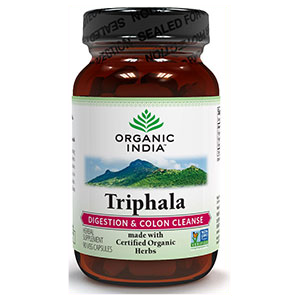 It is generally recommended that you take triphala tea or tablets on an empty stomach first thing in the morning and/or an hour before bed for highest health benefits. Dosha: Triphala is a tridoshic herbal formula and is thus good for all three body constitutions, Vata, Pitta and Kapha. 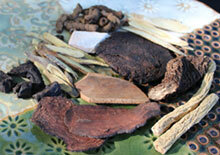 Ayurvedic herbs are commonly used as powders which can be blended into drinks or hot/warm water. 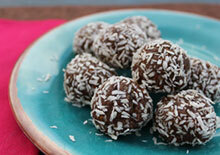 You can likewise add them to herbal teas or with other superfoods in blended shakes or tonic elixirs. 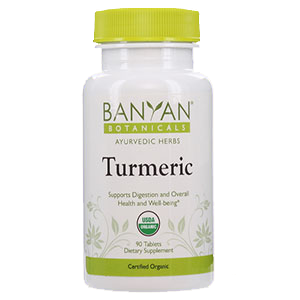 As in Ayurvedic tradition, they are particularly effective when used with other herbs and spices in various herbal formulations. 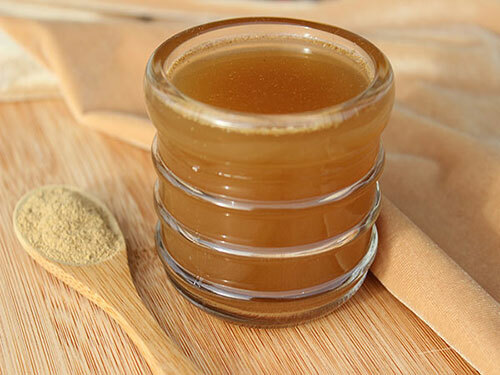 For convenience they can be consumed as a liquid extract or in capsule or tablet form. It is recommended that you consult your physician or healthcare provider when using any Ayurvedic herbs on a regular basis especially if you have an extreme medical condition or are taking prescription medications.